Welcome to Northern Suburbs Bridge Club. Our Library can be viewed via Catalogue or Subject Categories. 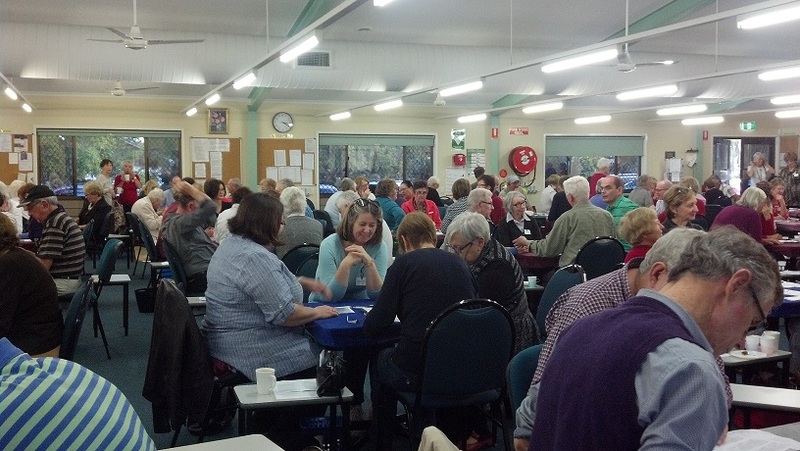 The Northern Suburbs Bridge Club (NSBC) is located in Brisbane, South East Queensland and is one of the city's largest bridge clubs. We run eight day time sessions and two evening sessions per week that cater for all levels of bridge player from beginner to advanced. NSBC is always delighted to host visitors from out of town so if you are in Brisbane and would like to play, please contact one of our partner arrangers who will find you a partner. The Club is affiliated with the Queensland Bridge Association (QBA) and the Australian Bridge Federation (ABF) and participates in the Master Point scheme which enables players to reach higher rankings according to their achievements at the bridge table. NSBC is situated in the suburb of Hendra, with two easily accessible carparks and plenty of overflow street parking. The Club is wheelchair friendly and disabled parking is available.